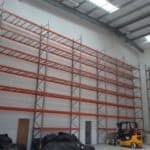 Storage Concepts Ltd have completed a large pallet racking narrow aisle double deep project for an International distribution business. 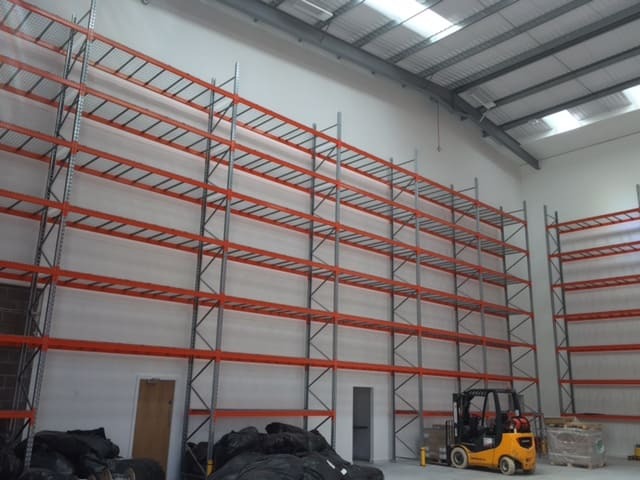 The system comprises of frames and beams to accommodate varying sizes of pallets designed to maximise the storage in the warehouse. 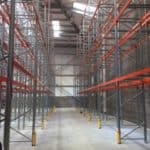 The integral pallet racking design also accommodates wire mesh shelves, pallet support beams, anti collapse mesh partitioning, low level shelving for pick bins, work benches and rack safety protection equipment.